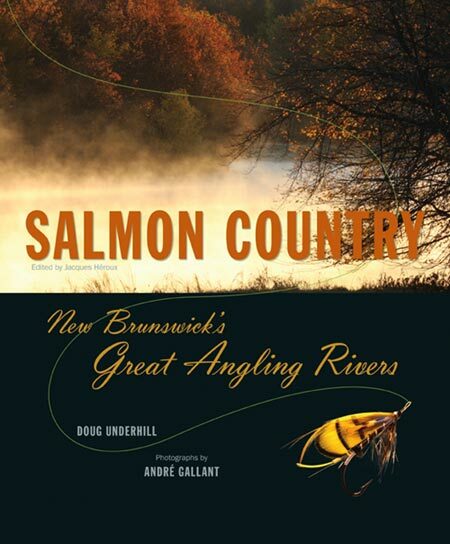 Doug Underhill, of Miramichi, has been shortlisted (along with photographer André Gallant) for the APMA Best Atlantic-Published Book Award for Salmon Country. The Atlantic Book Awards Society recently announced the full shortlist for the nine different book prizes that make up the 2012 Atlantic Book Awards. Of the 26 books up for awards, four are written by New Brunswick authors. Congratulations to Riel Nason of Quispamis, Jacques Poitras of Fredericton, Susan White of Clifton Royal, and Doug Underhill of Miramichi. The awards represent the wide range of literary works being produced in Atlantic Canada—from traditional novels to cutting edge fiction; thought-provoking non-fiction and deeply researched books on Atlantic Canadian history, to beautiful coffee table books; and illustrated children’s picture books to novels written for teens and young adults. 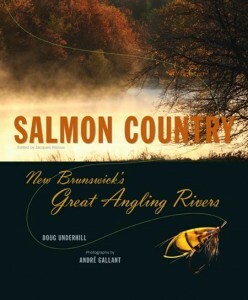 The 2012 Atlantic Book Awards and Festival runs May 10–17 with free literary events taking place in all four Atlantic Provinces. Festival details will be available at www.atlanticbookawards.ca in the coming weeks. Winners of the 2012 Atlantic Book Awards will be announced at a special awards show on the last night of the week-long festival, Thursday, May 17, at 7:00 p.m. at the LSPU Hall in St. John’s, Newfoundland, marking the first time this event has ventured outside Nova Scotia. Newfoundland comedienne Amy House hosts the awards celebration, which also features a performance by Andy Jones. Tickets for the awards celebration are $12; they are available at the LSPU Hall box office, by phone at 709-753-4531, or online at rca.nf.ca. The board of the non-profit Atlantic Book Awards Society is made up of representatives of the Atlantic Canadian book and writing community. The 2012 Atlantic Book Awards and Festival gratefully acknowledges the support of the Canada Council for the Arts and the Canada Book Fund of the Department of Canadian Heritage, and the sponsorship of the Government of Newfoundland and Labrador, through the Department of Tourism, Culture and Recreation; the City of St. John’s; the Atlantic Publishers Marketing Association; Advocate Printing; The Chronicle Herald; The Telegram; The Guardian; and The Telegraph-Journal.